This may be your babies first Christmas and so you are looking for something special to buy them. Or maybe you have a friend who has a baby and your looking for the perfect gift for them. 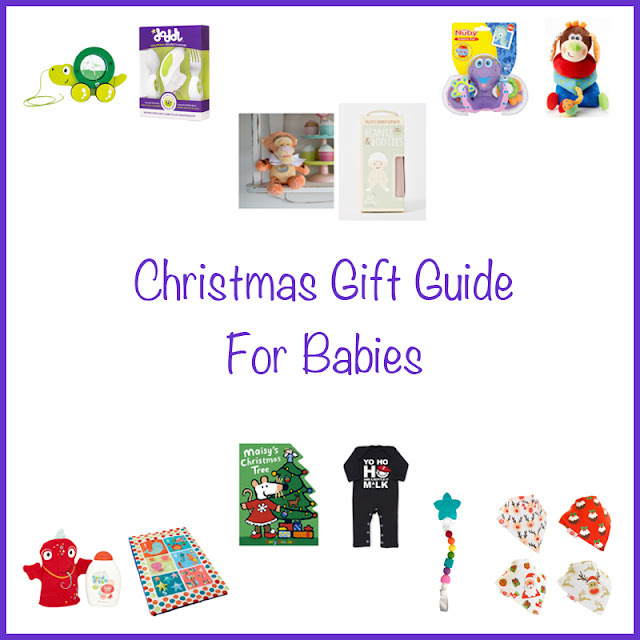 In this gift guide there will be ideas from 0 to 18 Months and a selection of different items from baby accessories to toys. I hope this guide helps you find the perfect gift for your little one. If you keep an eye out on my Instagram page then in the next few weeks there will be more photographs of the items. Add a splash of magic to bath time with Dexter and his Dragon Fruit bubbles. Featuring some Super Bubbly Dragon Fruit Bubble Bath and super cute Dexter Bath Mitt. It's suitable for newborns upwards and is dermatologically tested to make sure it's kind to babies skin. Made from real dragon fruit extract this bubble bath is sure to have your baby smelling wonderful this christmas. Then to make this gift even more special the dexter bath mitt adds an extra element of fun to your child's bath time. This set is very much recommended by me as a great gift for babies. 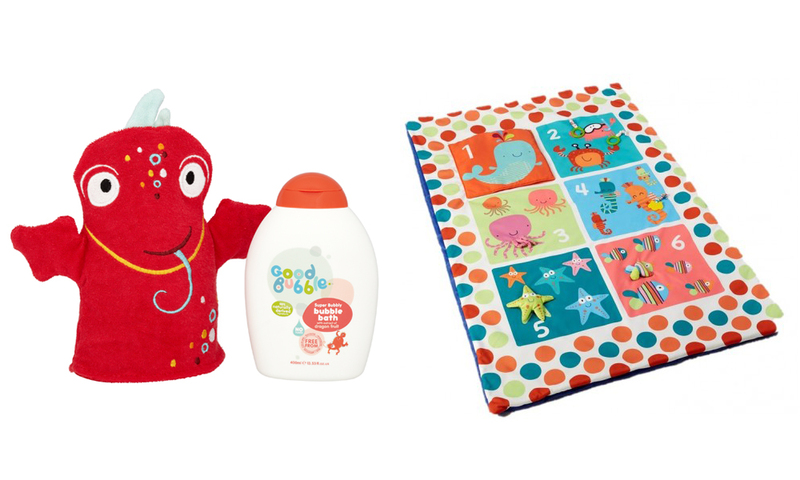 Make playtime fun and comfortable for your little one with the Imagination Station. Perfect for babies aged newborn onwards. The 6 interactive features keep baby entertained while the colours, sounds and different textures stimulate the senses. It rolls up for easy storage and is the perfect size to grow with your child for when they start rolling and moving. The perfect gift to get the new baby in your life. 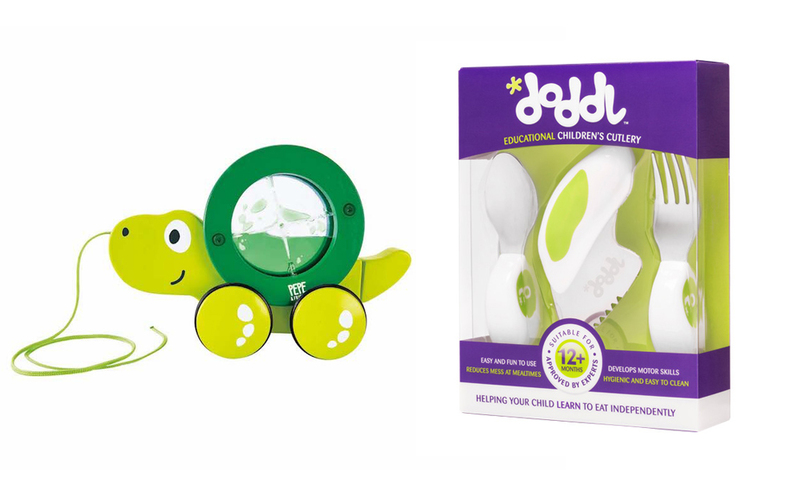 Recommended for 10 months plus, Tito the turtle is sure enough to keep any baby happy this Christmas. Tito leisurely moves along with his shell rolling and twirling as little ones learn crawl, walk and balance. The water in the middle of his shell swishes back and forth as he moves along the floor providing great sensory fun for your baby. Made for Children aged 12 Months+ this is the perfect starter cutlery set for your child. It's the perfect gift to show that the child is growing and becoming more independent by encouraging them to eat all by them selves. The short ergonomically designed handles makes controlling cutlery easier. This set allows your child to develop skills to make the successful transition to adult cutlery. Nuby's Floating Octopus fun and interactive bath toy comes with 1 floating octopus and 3 rings to throw on the octopus’s tentacles. It helps develop hand-eye coordination and provides endless fun in the bath or paddling pool. Recommended for toddlers aged 18 Months+ this is the perfect toy to wrap up for Christmas. They will be super impressed with the happy octopus face and the bright colour and not be able to wait for their next bath. 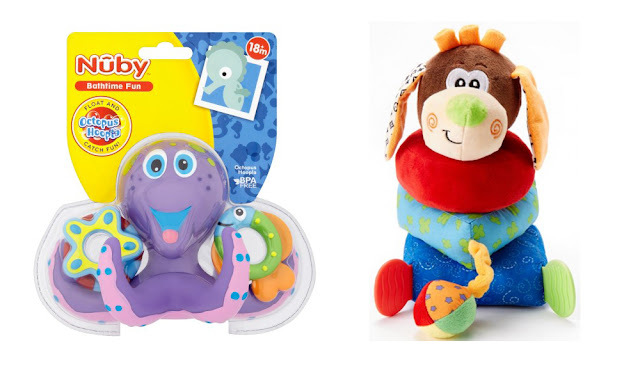 Nuby's Build-a-Buddy is a plush stacking ring toy in adorable animal characters. Soft and comforting for younger children and once able to sit up unaided, stacking helps to develop hand to eye co-ordination while the rattle and squeak elements add extra fun and interaction. Also comes with teething parts for those babies who love to chew. This colourful toy will make the perfect to keep your little one entertain for hours. This super soft and cuddly Tigger has all the fun, charm and friendliness you could ever want and makes a great companion for children everywhere. He’s irresistibly cute and kids won’t want to put him down. He comes with a personalised silver oval that can be personalised with whatever message you like. The oval is hand tied around his neck with a satin ribbon and makes an ideal Christmas gift. Keep your darling’s extremities snug in this dear little set. Made from 95% Organic Bamboo this set is extraordinarily soft, eco-friendly and ethical. It is the perfect little gift for keeping a little one warm this christmas as it is thermo-regulating and it's trim minimal design means that it will match any winter outfit too. This is the perfect little baby stocking filler. Made high quality silicone beads, your little one can chew on their clip to their hearts content, and mama can relax knowing it's completely safe. Your baby will love the super colourful appearance of these dummy clips and chewing on them will really give your baby that teething relief they are looking for. They come in a range of colours and a gift box for your dummy clip is also available at the check out. 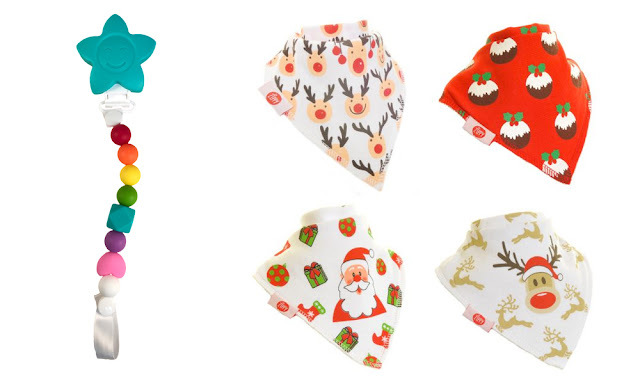 These fun, stylish, absorbent bibs are great to make your little ones outfit more festive. These dribble bibs which come in a gift box of 4 are super christmassy and the range of designs feature some of your favourite Christmas characters such as father Christmas. Made with 100% cotton and then lined on the inside with a soft fleece and then designed with a gathered neck they are guaranteed to keep your babies clothes dry and dribble free. This hard back story book is all about Maisy decorating up her tree. It's hand size and wipe clean and so perfect for little baby hands to hold. With it being hard board your baby can also easily turn the pages. This colourful Christmas book will be a wonderful festive story for you to snuggle up and read together. It is also part of the Books and Pieces 3 for £10 deal so take a look for other books your little one may like. 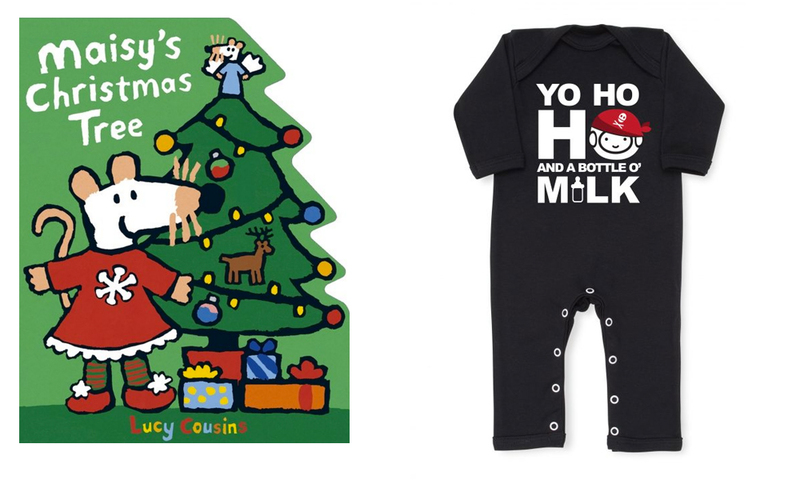 These cool baby grows are sure to have your baby looking hip with the great slogans written on the front. With slogans such as "Strike a Pose, or Free Hugs, they will definetly get your baby noticed. Not only are they stylish but they are super soft and snuggly and made with the purest cotton. Snuglo’s fun all-in-ones aren’t just sleep suits – they’re play-suits, shopping-suits and impress-your-play-date-suits, making them the perfect baby gift. Just pick your size and style and insert your favourite little human. 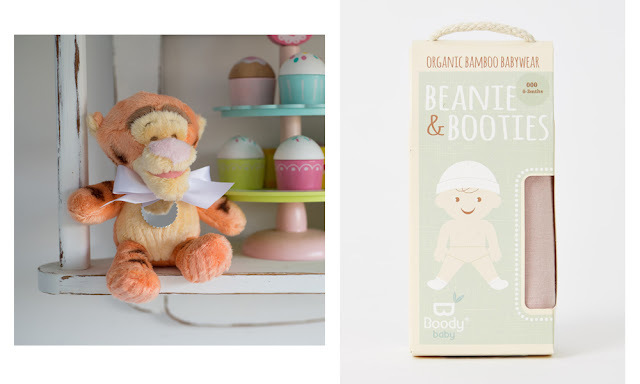 Which of these items would you concider buying as a gift for a baby? Aww lovely ideas, thank you for the review. My neice will be 1 just before Christmas so it's good to have a list of gifts to choose from. Defiantly love the floating bath toy! Nice selection of gifts for babies. There's so much choice in regards to baby gifts. Friend recently a Gran for second time, looking forward to going browsing for a gift for the new baby. Great post, as babies are hard to buy for. I like the Christmas Zippy Bibs, which would be a useful present! Tigger soft toy is really cute. Looking forward to Baby 's First Chronic photos, stories, etc. As a few new babies this year :- Family and friends. Christmas Zippy Bibs look great, practical and dressy :- Ideal for attending Christmas Dinner. Slogan Babygro :- Good idea.